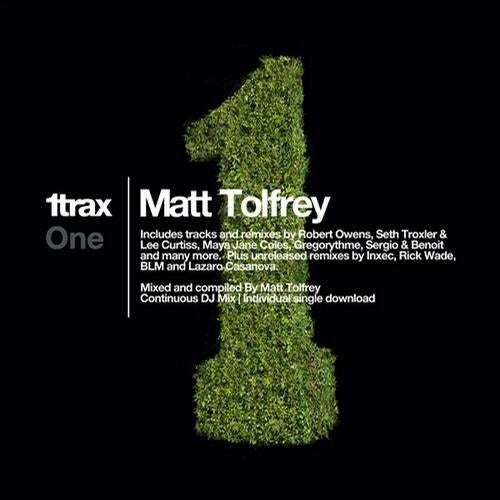 DJ, Producer and Leftroom boss Matt Tolfrey delivers a DJ mix complimenting his incomparable hybrid style of Deep House, Techno and all round melodic funk with One. One is the first album in a series of artist-focused compilations to be released by burgeoning label 1trax.Material on One is provided by Leftroom's own Marc Ashen and past & present 1trax artists Robert Owens, Maya Jane Coles and DZeta N' Basile. Additional cuts are delivered by Visionquest's top players Seth Troxler and Lee Curtis.